… and what it did to me. My dearies, everyone who’s been doing it is praising it, others are trying to tell us it’s unhealthy and dangerous. Others yet again think it’s ridiculous and simply an overpriced fashion trend. I say: I wanna try it out myself before I try to make any judgement. I tried the Detox Delight* juice cleanse called “Juice Delight Easy” for 5 days last week. HERE you can read all about what makes the “Easy” cleanse actually so easy. The guys over at Detox Delight have written it down so well over there that I don’t need to explain it to you in my own words. But well, so I only drank juice (and water) for 5 days and today, I wanna tell you all about it. I hope this will help you in deciding whether you want to start your own juice cleanse soon or not. Enjoy reading! 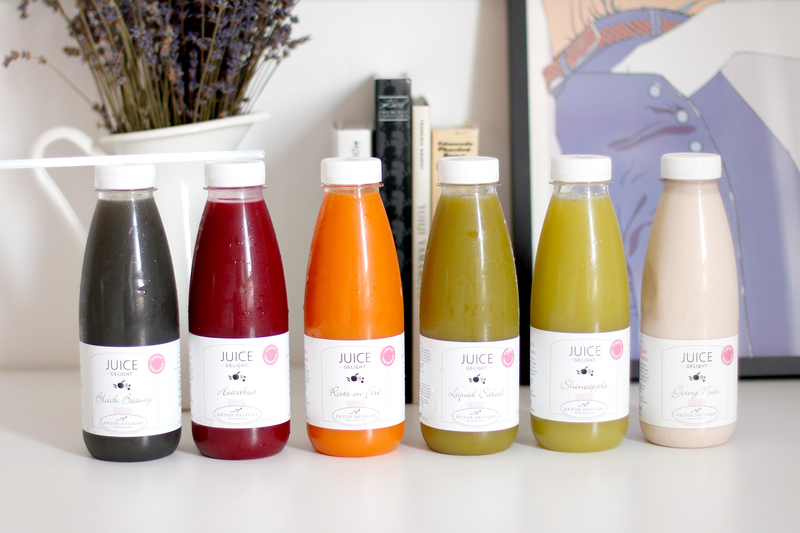 Each day, I drank exactly 6 juices à 500 ml (which is a hell lotta juice – 3 litres a day – I know!). 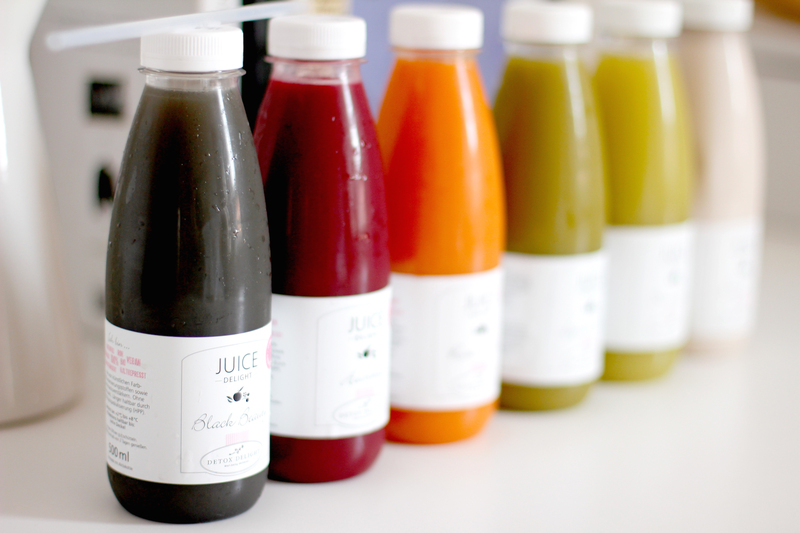 Each juice has about 160 – 190 kcal which in total gives you about 1200 kcal a day. To be honest, on most normal days, I eat less calories than that. I know, if I have a stressful day, I need about 1400 kcal but on normal days, 1000 kcal definitely do. Don’t judge me for that, I know my body best. All of the juices were super tasty on day one. I was surprised by how lovely and fresh they were. I was really excited. The first juice on every day was “Black Beauty” with activated charcoal, then “Roots on Fire” with carrot, orange and chili, then “Heartbeet” with red beet and much more, then “Liquid Salad”, the green juice, then “Shineapple” with coconut water, lime, pineapple and vegetable and finally, “Going Nuts”, the almond milk. My favourite juice was “Roots on Fire” because it was fresh, fruity and spicy, my least favourite was the almond milk because it basically had no taste at all after day one and I was already so full after juice 5 that I could hardly swallow it down every night. “Shineapple” was super tasty, but something inside gave me a strong headache every day. It was weird because every time, exactly 30 minutes after drinking it, the headache came around. Maybe an allergy of some sort? All the other juices were good, fresh and really nice! On day three, my body was really against drinking any more juices. I felt a big “noooo, no more juice” coming from inside my body every time I drank one. But day 4 and 5 were super easy again. I guess my body had gotten used to it. So I didn’t lose a lot of weight of course with all those many veggie and fruit juices. And of course, that wasn’t my goal, either. The juices have enough good stuff and calories in them to keep you going all day long. You shouldn’t use a juice cleanse as a diet. You can use it to start a healthier, maybe vegan, lifestyle of course. That would be great! But I lost my blown-up belly (that I usually get thanks to lactose intolerance) and generally had a more toned body after those five days. I also had less rashes from Urticaria, which is always great! But my skin actually didn’t “glow” like others have said about themselves. I actually got a little spot during these days and I normally never have spots! Maybe the detoxing also led to my skin getting a little less nice. I hope it will be back to perfect, soon. Did I ever feel hungry during the 5-day juice cleanse? NO! Never, not once. I rather felt fuller than usual during the day and I could hardly drink the almond milk in the evening because I was already full. BUT I had a big appetite all the time. I wanted Pizza, Kebab, Burritos, Soba and ice cream all the time. That was hard. Also, my jaw missed the chewing. From day 4, I got a really strong pain in my jaw from not chewing for a couple of days. So I started chewing sugarfree chewing gum. Also, my gum got a little septic and I had to treat it with Listerine. I guess it was the fruit juices that were too aggressive for my gum. In the end, I must say I generally feel so healthy right now. Full of vitamins, power and energy. I also feel super motivated right now to eat even more greens, make my own green smoothies for breakfast and drink less coffee. It is amazing how easy the body gets used to a change like this and wants more of it. Would I recommend a juice cleanse to my friends and readers? Well, MAYBE. It depends on what you want to achieve. As a starting point to a healthier lifestyle, it is definitely great. And once a year, it will definitely do your body good to detox for 3 or 5 days. You should maybe try the shorter period first to judge for yourself. But yes, it will do your body some bad (for a short time) but also a lot of good. Think about it! * Thank you Detox Delight for offering me to try the juices and giving me all the info I needed! Wirklich super ehrlicher und hilfreicher Post! Danke dass du deine Erfahrungen teilst. Ich halte eben ehrlich gesagt nicht viel von diesen Cleanses …. Liebe Michaela, schön, dass es dir weiterhelfen konnte. Ich für mich fand es ja gut, aber ich wollte halt auch unbedingt die Nachteile aufzeigen, genau wie das, was eben gut war. Das war ein toller, ausführlicher und hilfreicher Bericht. Ich habe auch schonmal eine kurze Saftlur gemacht und mir hat es so gut getan! Ist glaube ich auch typabhängig. 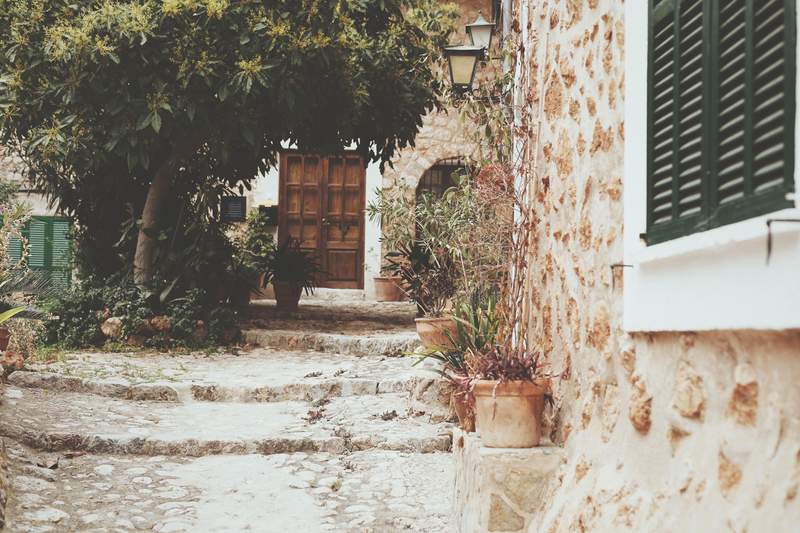 Lovely post and great pics! Seems like this trend is never gonna leave again. But hell, whyever not!